In Newcastle electricity was the new excitement. To claim that Newcastle was the only birthplace of electricity, as an everyday source of household energy, would be an exaggeration, given the efforts of Westinghouse and Edison in the United States. But it was Swan's electric light bulb in Newcastle that began the revolution and now demanded new methods of generation and distribution. The young McKie boys, James William Lawson McKie and Thomas McKie, were in the right place at the right time. At the turn of the century my grandfather and his brother Tom both began training as electrical engineers. Evidently someone in their family had seen its potential (I know, another pun) and paid for their education. It may have been their aunt, Margaret J McKie. While still in his early twenties Tom had met Bridget Nicholson who was five years older than he. They were married in 1909, moving to 16 Wansbeck Terrace, Ashington. One of the strengths of Tyneside area was technical education. In this various prominent members of the Newcastle Literary and Philosophical Society played an important part by endowing educational institutions and persuading the University of Durham to begin teaching science and engineering. Notable among the key players were Armstrong and Whitworth. Several of the prominent electrical pioneers in the region attended the Durham College of Science and later, Armstrong College in Newcastle, where my father went. It was part of the genesis of the University of Newcastle, that has such illustrious alumni as Peter Higgs, after whom the 'God Particle', the Higgs Boson, is named. One such graduate of Durham College of Science was John Henry Holmes who in 1883 established J.H. Holmes Electrical Engineering Company. My grandfather James William Lawson McKie joined J.H. Holmes Electrical Engineering, rising to chief engineer. The "quick-break" switch overcame the problem of a switch's contacts developing electric arcing whenever the circuit was opened or closed. Arcing would cause pitting on one contact and the build-up of residue on the other, and the switch's useful life would be diminished. Holmes' invention ensured that the contacts would separate or come together very quickly, however much or little pressure was exerted by the user on the switch actuator. The action of this "quick break" mechanism meant that there was insufficient time for an arc to form, and the switch would thus have a long working life. This "quick break" technology is still in use in almost every ordinary light switch in the world today, numbering in the billions, as well as in many other forms of electric switch. A century later the 'quick make-and-break' concept would be a design claim in one of my father's patents. This one for a 'Quick acting make-and-break microswitch' US 3309476 A. Who says memes (persistent ideas) aren't handed on, down the generations? The adoption of the new electric light bulbs was very fast. To the homeowner and in factories electric light was revolutionary, allowing work to continue through the night. In England then in the US large private homes and theatres quickly installed electricity alternators (AC) or Holmes Dynamos (DC), followed by entire localities. In Australia the NSW town of Tamworth was the first in Australia to install electric bulbs in street lights and illuminated 13km of road in 1888. In the same State, Young, Penrith, Moss Vale and Broken Hill all quickly followed. 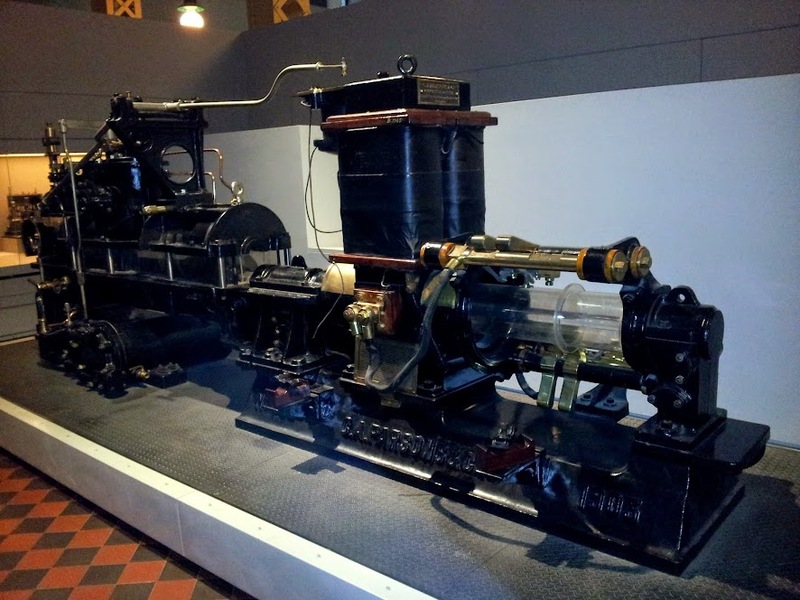 Sydney was quite late, mainly because it had recently installed advanced gas lighting with mantels, one or two of which were retained for historical purposes until quite recently. Trams were originally horse drawn. The first electric trams were installed by the Tynemouth and District Electric Traction Company in 1901. The power was generated at Tanners Bank, North Shields. Like those in Hong Kong the trams were double-decker, on 3 foot 6 gauge track and ran on 550V DC. Hong Kong's still runs but like many such systems Newcastle's was pulled up before WW2 and replaced with busses. By 1907 J.H. Holmes had installed electric power and lighting into 275 collieries, shipyards and railways, dockyards and quarries; 293 newspaper offices and paper mills; 811 steam ships and yachts; and 148 textile mills. The business, now including my grandfather, also designed portable lighting for ships sailing through the Suez Canal at night. Meanwhile in 1877, Charles Algernon Parsons, a young man who had recently graduated from St. John's College, Cambridge, with a first-class honours degree, joined W.G. Armstrong at Elswick, as an apprentice. Parsons believed in practical learning from the shop floor up, a tradition that both my father and my uncle would carry on a generation later when they would both work for the company Parsons founded. More than that, they would both meet their future wives there. While working for W.G. 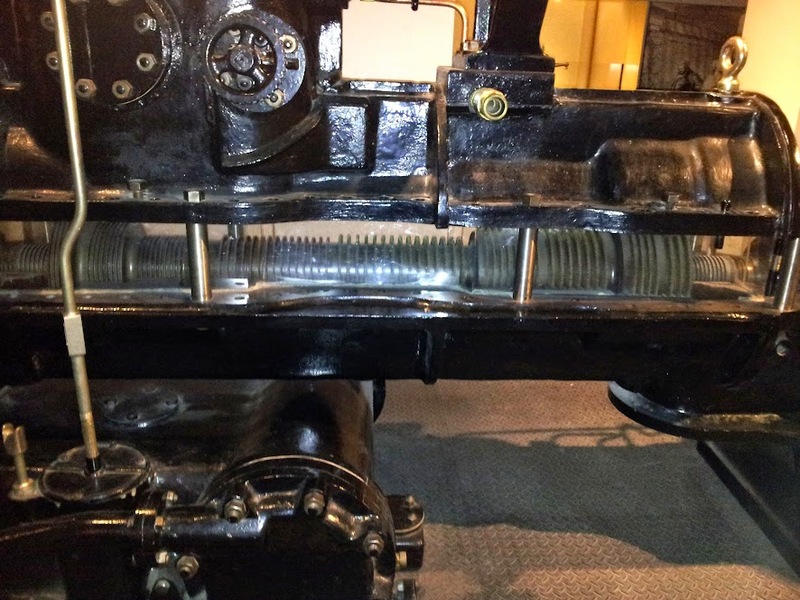 Armstrong and later, Clarke, Chapman and Co, also on the Tyne, young Charles Parsons was attracted to the idea that reciprocating engines are essentially complex and irregular, a batch process, whereas a turbine spins a shaft directly, a continuous process. It helped that modern steel was now available and the metals he now had, as metallurgy advanced, could withstand the centrifugal forces and would deliver tens of thousands of hours of reliable service. He sold his new engine to the Chilean Navy but the British Royal Navy was dubious of this new fangled technology. So Parsons built a launch, the Turbinia, capable of 34 knots and ran her in figure-eights around the Navy's fastest ship on sea trials. Turbinia's speed was subsequently demonstrated to Queen Victoria. After that steam turbines were adopted for newly built British destroyers, and continued in use until the County Class, in the early 1960s, important later in my family's story. Wendy and I recently visited Edinburgh where the retired Royal Yacht Britannia is on display, at her heart are the turbines, developing up to 12,000 shaft horsepower, that power her. This is a drop in the bucket compared to the 160,000 shp Parsons turbines on Cunard's first Queen Mary, for which my father made blades when an apprentice engineer at CA Parsons. She is now an hotel and attraction at Long Beach California, where I saw her not long after Emily was born. 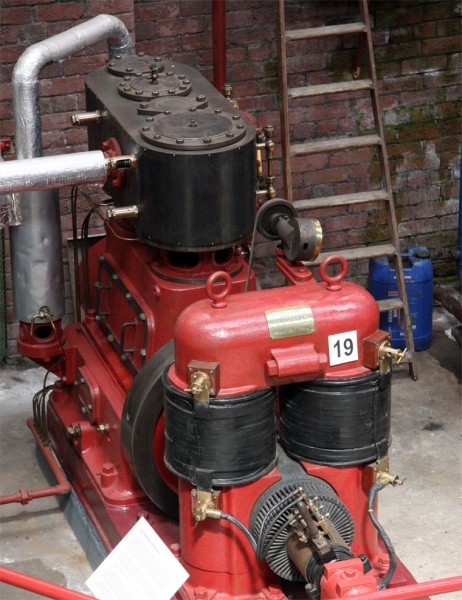 But of much more lasting importance was the application of steam turbines to electricity generation. Parsons coupled his turbine to an alternator in what has become known as a turbo-alternator set. An alternator generates alternating current (AC). The new machine quickly took over from the older reciprocating engines driving dynamos. It was smaller, simpler, cleaner, neater, and therefore intellectually pleasing to a scientist or engineer. Don't be confused by the speedboat in the background. 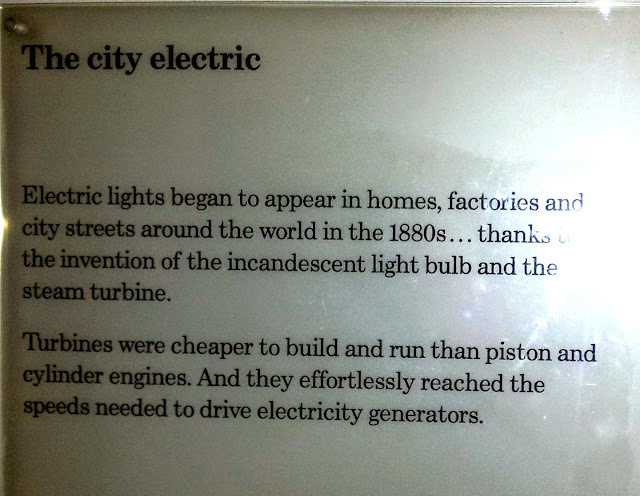 The first public electric lighting in Sydney was in Hyde Park in 1903, employing a small C A Parsons turbine driven dynamo that can still be seen at the powerhouse museum. This is that machine (with the upper turbine housing raised 7 or 8 cm on spacers), long since replaced with much larger machines, also initially from CA Parsons in Newcastle upon Tyne. In the image below the turbine is being assembles to drive an alternator (AC) rather that a dynamo (DC). A dynamo requires a commutator (the device at the front of the red Holmes Dynamo above) that is very difficult to scale up to larger currents. Whereas both an alternator and a turbine can more easily be scaled-up and matched so that now they typically convert superheated steam to up to a thousand megawatts of electrical power per unit. So today turbo-alternator sets generate over 80% of the world's electricity. This is one of four in a typical modern turbo-alternator installation - this one from NEC in Japan. and offices running; and the Internet alive, across the world. Parsons original concept has changed very little. Parson's 'turbine motor' is also the direct precursor of the 'gas turbine' or 'jet engine' that now powers the great majority of aircraft. Parsons came from an aristocratic scientific family famed for practical ability and eccentricity. His mother had learnt blacksmithing to help her husband build the largest astronomical telescope in the world. and his wife Katherine and daughter Rachel and would carry on the tradition after his death. Katherine and Rachel Parsons both qualified engineers would found the Women's Engineering Society in 1919 a pioneering institution that indirectly paved the way for Leander's mother, Emily L S McKie, to become an engineer in the twenty-first century. Initially it was for smart young things of the upper classes. Eleanor Shelly-Rolls (Rolls Royce heir) and aviatrix Amy Johnson were early members. Charles Parsons was the nearest thing my father had to a hero to be emulated, although he also admired Albert Einstein.